Well, he is a chief rival of Apple, considering Gates founded Microsoft. It’s something to think about, does the government have the right to force a company to decrypt their own devices and compromise years of research, or not? 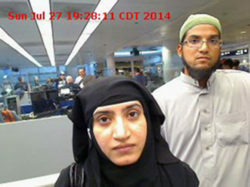 In dispute is whether Apple should be forced by the U.S. government to decrypt its own device, an iPhone, which was used by one of the San Bernardino terrorists named Syed Farook.